You know I LOVE my tools! Using the right Facebook tools for your social media marketing can mean less wasted time and money, and more productivity. In this post, I’ll share 15 of the best Facebook tools out there for marketers and small business owners. And the best part? Most of the tools below are cheap or even FREE! I’d love to hear your favorite tools at the end of the post! Ever wonder how other marketers and business owners create those amazing, professional-looking contests, polls, and landing pages on Facebook? Their secret tool may just be Shortstack! Shortstack lets you set up completely mobile-optimized Facebook campaigns simply by dragging and dropping – NO coding skills required! 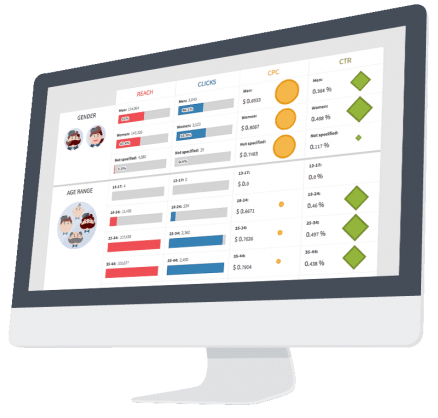 The tool even saves all the valuable leads you generate through your campaigns, keeping them in an exportable database (so you can easily add them to your email marketing software). 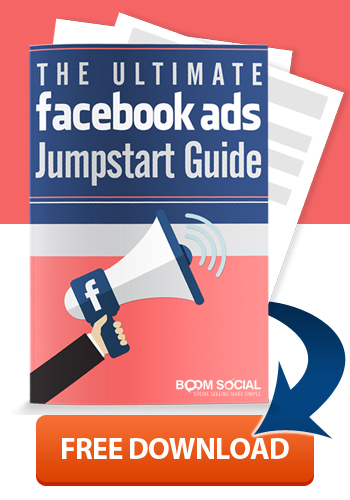 If you’re looking for the ultimate tool for managing your Facebook page, look no further! Agorapulse is my #1 recommended tool for all your social media scheduling, collaborating, and analytics needs. In fact, I love this product so much, I’m a proud brand ambassador! Queue popular posts to run regularly…great for getting automatic engagement! Price: Free trial available. Plans start at $39/month. Want to learn more about how Agorapulse can help you? Check out my post, 9 Reasons I Love Agorapulse. Post Planner is just what it sounds like – but oh so much MORE! 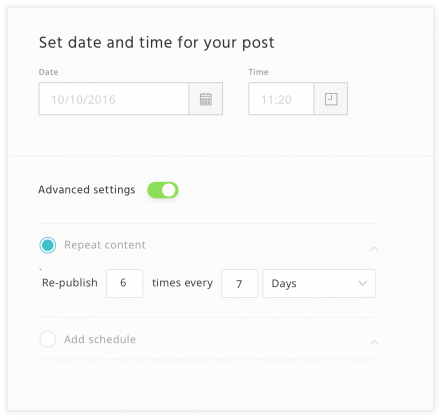 It lets you plan and schedule your social media posts, but that’s not all. 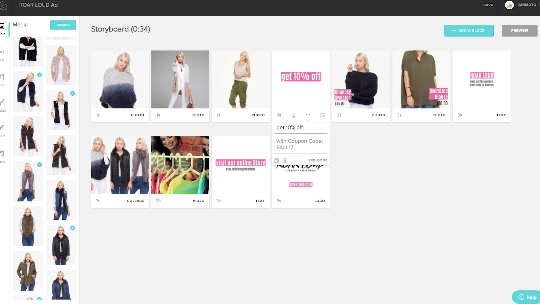 The idea behind Post Planner is actually GENIUS: unlike many scheduling tools, it allows you to easily find and post photos that have been proven to go viral…meaning more likes, shares and views! We know that the more engagement you get on your Facebook posts, the more Facebook decides to show your posts to your fans; and this means MORE visibility for ALL your posts – not just your viral photos. Price: Plans start at just $3/month. While this is the built-in analytics tool for your Facebook page, I can’t leave it off the list. Facebook Insights may be free, but the value it provides is priceless! While Insights may not offer the deep insights of some other tools, it’s free, simple to use, and because you’re getting your data straight from the source, it’s guaranteed to be highly accurate! You may not have expected to find an image creation tool on this list…but if you know how important visual content is on Facebook you won’t be surprised! Canva is an amazing tool that lets you easily create stunning graphics you can share on Facebook. With their database of over 1,000,000 images, you will definitely be able to find an image to suit your needs. Here’s how it works: Log in to Canva, and then select “Facebook Post” from their repository of templates. This will ensure your Facebook post image is the perfect size! Next, simply choose from their wide selection of layouts, add text, make any other changes you want to the colors, layout or background, and you’re good to go! Price: Free. 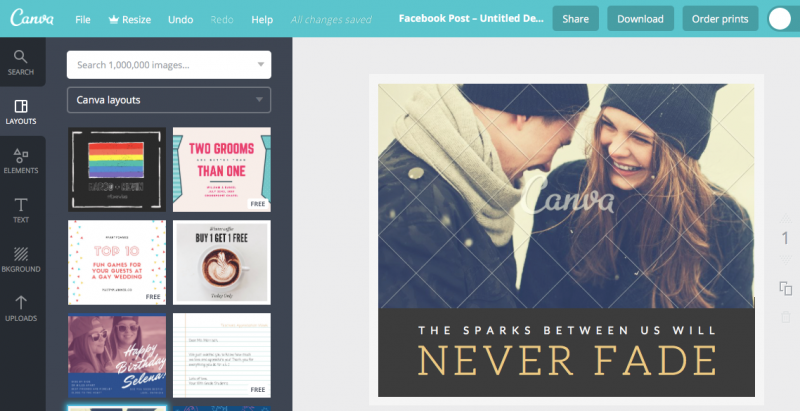 If you want to use Canva’s paid pictures, layouts or elements, you’ll pay just a buck. Looking for more tools to create amazing Facebook images? Check out my post, 6 FREE Tools to Create Amazing Eye-Catching Graphics. 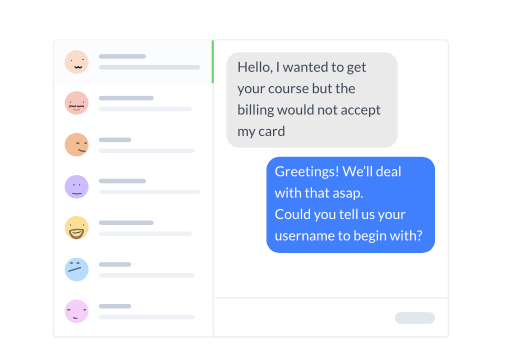 What if I told you you could use Facebook Messenger to automatically respond to messages, do customer service, and even sell your products or services…24/7, without any real-time involvement from you? Well, it’s possible using ManyChat! ManyChat is a chatbot tool that lets you set up a Facebook Messenger bot in minutes, NO tech skills required. The bot will be connected to your Facebook page, meaning anyone who messages you through your page will automatically be added as a subscriber, and will receive a response that you’ve programmed in. You can even set up your bot to respond to special keywords you designate, so people always receive exactly the type of message or content they need! And one of my favorite parts of ManyChat? You can set up automated sequences so you can build relationships with your subscribers over time – just like you would with your email list. Price: Free for unlimited broadcasts and up to two broadcast sequences. Paid plans start at $10/month. For step-by-step guidance in setting up a ManyChat bot, check out my post, How to Create Your First Facebook Messenger Chatbot for FREE with NO Coding. If you use Facebook ads to promote your business, you know what a pain it can be to figure out what’s working in your ads, and what’s not. How do you get your posts to stand out on Facebook? With so many businesses posting – constantly – it’s your headline that can make all the difference! By “headline”, I’m referring to the first line of your Facebook posts, to your Facebook ad title, AND to title of your blog posts (that you share on Facebook). 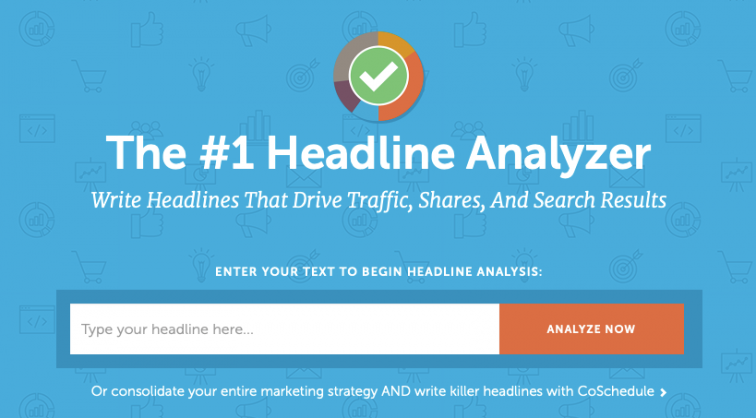 CoSchedule’s Headline Analyzer is a great little tool for showing you exactly how you can improve your headlines. Simply plug in your proposed title, and the tool will give you feedback on the title length, sentiment, keywords and more! Want to create amazing, professional-looking videos to share on Facebook? Animoto is a low-cost tool that will let you do just that. Choose from pre-built storyboards, then customize your video to suit your style – including adding music, transitions, changing colors, etc. Then simply post to your page and watch the “likes” start rolling in! Price: Free trial available. Plans start at $13/month. To find more amazing tools for creating Facebook videos, check out my post, 10 Top Tools for Creating Short Videos that ROCK. Ever wish someone could look at your Facebook page and tell you EXACTLY what you’re doing right (and what you’re doing wrong?). Or have someone tell you how you stack up against your competitors on Facebook? Or, tell you what type of content you should be posting, and when? Likealyzer does all this and more! Using over 70 different signals, this tool grades your Facebook marketing efforts so you know exactly what you need to KEEP doing – and what you can do to improve. This is a super-cool tool brought to you by the folks at Agorapulse! Want to know how many fans you’re reaching, what your engagement rates are, and how much negative feedback you’re getting? Or even how your page is performing compared to other, similar pages? Simply connect your Facebook page to the tool, and receive all these insights and more. Do you ever post a link on Facebook, only to have it display an old image (or even no image at all)? This can happen when Facebook has cached an old version of your URL. The solution? Run your URL through this handy little tool to clear the cache and have Facebook show your link exactly the way you want it! After entering your URL and clicking Debug, you’ll get a bunch of technical mumbo jumbo, but don’t worry about that. Simply look at the link preview to see what your link will look like when you post it. If you don’t like what you see, simply make any desired changes to your post or landing page, then click Scrape Again. Facebook will now include your changes when you post your URL! Have you ever uploaded a video to Facebook, only to find that you’re not allowed to use a song due to copyright issues? This can be extremely frustrating! Fortunately, Facebook has a workaround for this. 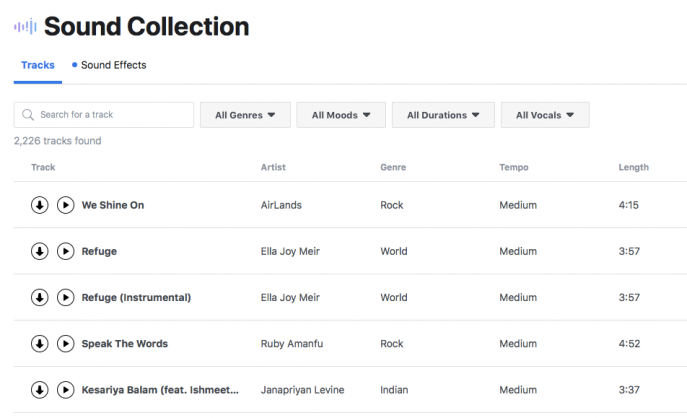 Their Sound Collection has over 2,200 tracks you use – for free – as background music for your Facebook videos. They even have a collection of sound effects, like waves, drums, horror screams, bird tweets, and more! You can even sort by time duration (e.g., 10-30 seconds) or by category to find exactly the sound you’re looking for. Looking for an all-in-one Facebook tool that will let you do pretty much everything you could possibly want? Pagemodo may be what you’re looking for! From creating your Facebook cover photo, to building custom tabs, to collecting leads from your Facebook page, it does it all. Price: The free version lets you manage one Facebook page and comes with limited features. Paid plans start at $6.25/month. Facebook groups are where it’s AT! If you’re not using groups to build community with your audience, you’re missing out (and so is your audience). Grytics is a tool that offers in-depth insights into everything related to your Facebook group: from top posts, to comment statistics, to finding content based on specific keywords and much more. Have multiple groups? No problem. The tool lets you easily manage all your groups in one spot, and even lets you compare the performance of your groups. Price: 14-day free trial. Paid plans start at $15/month. There you have it! 15 of my favorite Facebook tools for marketers. These tools will give you a leg up when it comes to managing and building your presence on Facebook. They’ll also save you time, money and a ton of frustration! 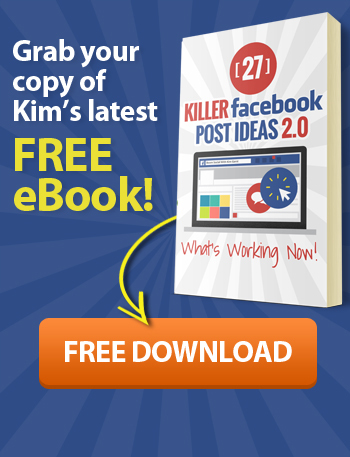 To find some amazing Facebook post ideas to use with these tools, check out my most requested e-book – 27 Facebook Post Ideas for Small Business Owners. What’s missing from my list? What’s YOUR favorite Facebook tool? Share below! Thanks for telling your community about how you use Heyo 🙂 We love working with you! 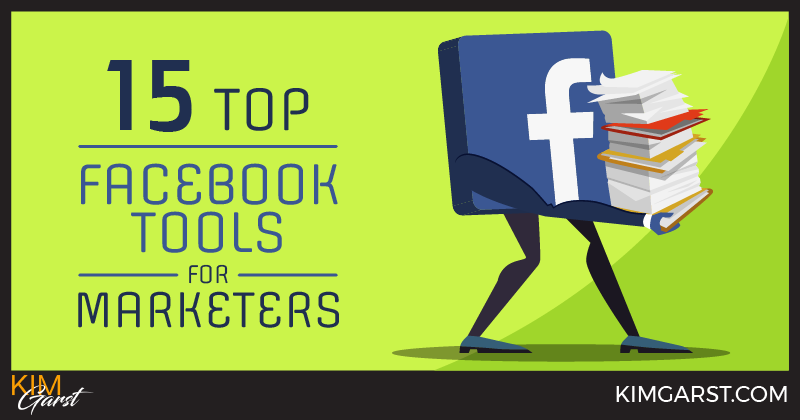 Excellent list of top Facebook marketing tools and additionally well-organized. I’ll be sharing that with my guests. Appreciate you stopping in, Jim! Thank you for the tips. There’s so many things one learns, when following Kim Garst. These tips on this blog would have never crossed my mind. I’m glad we have intelligent woman like Kim. Her content gives small businesses a chance to keep up in this very competitive business world. Awesome list Kim! Cannot live without a lot of these tools (Currently loving Canva!). 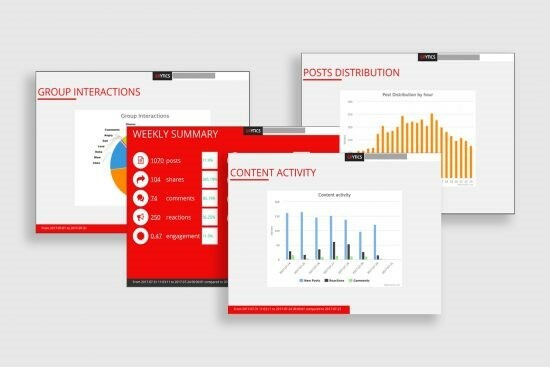 We’ve been working on a Social Media Management tool called SocialSensr. It’s a combination of social media management, analytics, content curation and CRM. Would love your thoughts! YES, me too :-). I haven’t heard of SocialSensr but will definitely check it out. Do you automate feedly and buffer, Jeff? Great list of tools zipped in one Post .i learned today about polldaddy . Thanks Kim for mentioning Antavo, I see we are in good company! Canva is a tool that we use every day, and I just signed up for Crowdbooster on the other day. What an information packed post! You are such an inspiration. Thanks so much for sharing. We’re looking forward to adding Heyo to our toolkit. Thanks for the info, I myself am currently on a placement year abroad as part of my university degree working as a Digital Marketing Manager out in Dubai for 14 months and this should defiantly help me to impress my new employers. Also starting my own little business so have added this page to my useful list of info to get me started when I kick it all off when get back to university in September 2016. Keep up the great work and thanks for the info! Glad to be of help, Charles :-). Good luck with the new job and the new biz! Great article! I like to see that many of the recommendations here I already use and this is why I want to share another one that is missing from your list – wishpond.com. I recently launched a photo contest using one of their apps and I am more than happy with the look, usability and costs of using their product. I had a feeling that HootSuit is going to be on this list after reading the headline. It sounds like a really nice tool, I just need to get to know it well enough to make it useful. Hi Kim, another very interesting and useful article. I went our right away and signed up for a free Buffer account. I just started to set it up and I am using one of your articles to share. Thanks for all your great content. Gr8 Article. Thankyou so much. Interesting read although I kind of feel that with the decline of reach Facebook is becoming increasingly harder to use for marketers. Ugh! I just now ran across this post and it’s got a lot of info I need (and plan to use) for our FB business page. Thanks again for the great info! Thanks for the this information, I myself am currently on doing software develop. Also starting my own little business so have added this page to my useful list of info to get me started when I kick it. Very useful facebook tips and i will try it, thank you. I love your blog. So lovely post! Great list of options! I love using Canva. Will have to check out some of the others. Hi, I wanted to read your blog, I enjoyed reading your blog. Good post. I was searched this topic. Finally I got the information in this blog. Thanks for posting such a nice article. Thanks for sharing these wonderful tips KIM. I really appreciate it. It is really helpful to facebook user for sharing their post with amazing editing. Thank You for sharing. Useful information for the candidates who are doing facebook marketing. Very Nice Article for facebook barometer i learn a lots you are to good kim. you are doing great job keep publish awesome article. Some nice pointers that i didn’t already know that will help me greatly in the future. Amazing post, this post is so helpful to all the people who are interested in Facebook Marketing. Thank you so much for such an amazing post. Keep sharing more of such posts. Nice article. Thanks for sharing knowledge blog about Facebook marketing. Awesome post Kim! I’ve just started using manychat for my amazon FBA business, it’s brilliant! I’m going to look into headline planner too! What a fantastic post! This is so chock full of useful information I can’t wait to dig deep and start utilizing the resources you have given me. Your exuberance is refreshing. Great collection. My one of the favorite Tool is Canva. Thank you for sharing. Really very interesting post and your all post is very good. Hi Kim.What a great, informative list. I’m just kicking off my Facebook marketing strategy and am absorbing all of the information I can get my hands on. I started using Facebook Insights right away, mostly because I like giving myself goals to strive towards, and being able to put yourself up against your closest competitors keeps ME competitive, so it’s nice to see that I’ve “made the list” already and have found myself accidentally on the right track. I’m tweeting this post immediately, because, truly, its a really great go-to resource. Thanks again. Hi Kim Garst, Thank you for sharing this wonderful article. This helped me a lot to find tools to grow my business. Bookmarked site for more content in the future. Nice article thank you for sharing with us. Really amazing tool for marketers. Nice information, this is verny useful information for us thank you for this article. Hi, That’s a very great post. The Article is Awesome to read. Thanks for sharing with us your Post. Interesting stuff, Thanks for Sharing valuable content for me as a marketers, it is useful for me and it increases to 21 of the best facebook marketing tools to help you achieve your facebook marketing goals. Great marketing tools I have seen. Thank you for the share. Great, Thanks for sharing with us this wonderful information. I have tried anychat and it worked for me and now I have a 50k members group. Hello, It was a very nicely written article. I like to read it. It was totally informative and topic you covered here, I am totally agreed with you. I must say that I have learned so many things from it. Awesome blog. Very useful information, it clarified a lot of things to us. Thanks for sharing your view. Thank you for sharing this article. Keep writing. Thank you so much. Great article, Thank you for sharing this article..
Facebook marketing without having effective tools & weapons will not give fruitful results . FB marketing tools you have provided here are awesome . I know few of them and personally tried . Thank you for share these all great tools with us. Appreciate your work. I like your articles. We always find some new info on articles. Thank you for sharing the article on Facebook Tools. Keep on updating us with new info!!! Hey, Great post!! All the tools you have described are very useful for Facebook marketing. Now it’s very challenging to get more engagement in a Facebook post. A person can’t get simply more results without applying some techniques. These list of tools are really helpful to create Facebook post-eye-catching. Thanks for the awesome article. Looks like an amazing post. I especially liked that Pagemodo which is a All-in-one Facebook post designer. Thank for your writing. It is very helpful to me. Enjoyed reading this article , Thanks for sharing these tips. Thanks for the wonderful blog. You are a blessing. thanks this is good. Thanks for sharing such a beauty steps. Thank you .. your sharing this excellent information.. Thanks. You have shared a really very interesting article about top facebook tools marketers. It is really helpful to me. I hadn’t heard of some of those. Great to find some new things to check out. Thank you.